Build your test management skills to move into a more senior role as a testing professional. Develop your career as an accredited test manager! Wanting to formalise your test management skills? In this course, you’ll learn the practical application of risk-based testing and test management tasks, including planning and estimation. You’ll also learn how to manage stakeholders, form test teams with the relevant competencies, and skills to ensure effective resourcing and undertake test process improvement initiatives. 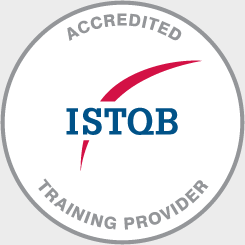 Recognised around the world as a best practice qualification, the ISTQB® Advanced Test Manager certification is well suited for experienced testing professionals looking to move into a test management role. Experienced Testers wishing to progress into a test management role. Test Managers looking to accredit their skills for recognition among employers, clients and peers. EXTRA COURSE INCLUSIONS: Our Pass Guarantee, Free Revision Sessions and Job Seeker Support are just a few of the extra inclusions you receive when training with Planit – the leading ISTQB Accredited Training provider. View our full list of extra inclusions. "The course is excellent. I found it very helpful to explain existing practices and inform of new ones. I feel much more confident as a Test Manager." The ISTQB® Advanced Test Manager examination is a 3 hour closed book, 65-question multiple choice exam. Candidates are required to achieve a minimum pass mark of 65%. The examination is sat separately from the course and is independently administered and assessed. 5 days of classroom training with a certified industry professional.